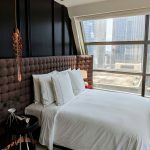 In November 2018, I checked into the One-Bedroom Millenia Suite at The Ritz-Carlton, Millenia Singapore, a luxurious 608-room hotel which has firmly established itself as one of Singapore’s most esteemed addresses. 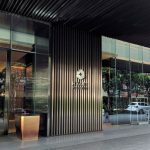 The hotel is located just steps away from major attractions such as Marina Bay Sands and Gardens by the Bay, as well as conveniently situated close to various shopping malls such as Raffles City, Suntec City and Marina Square. 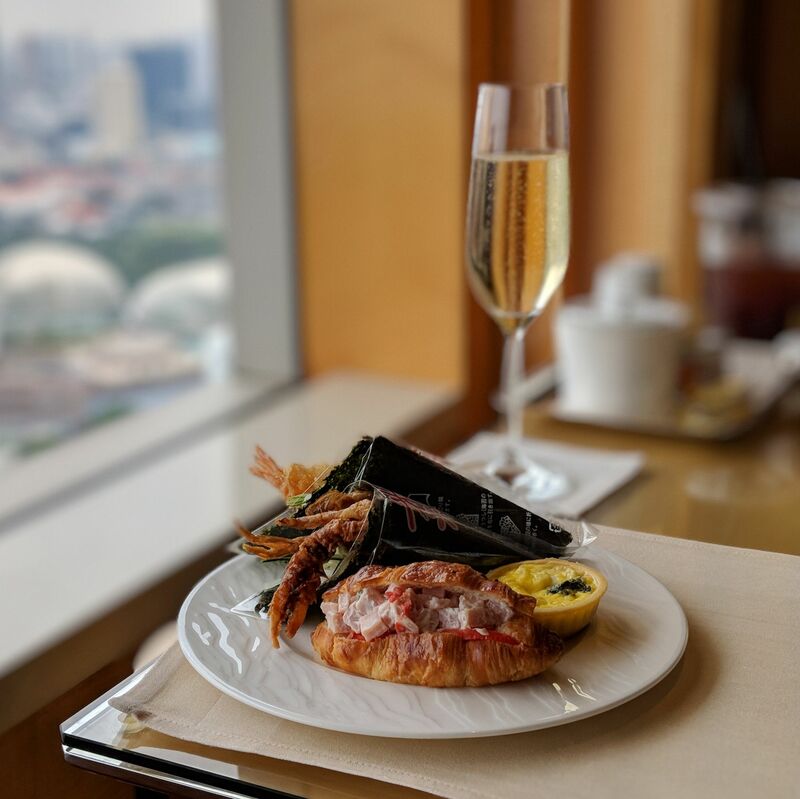 The Ritz-Carlton, Millenia Singapore boasts arguably one of the most breathtaking, closest and most direct views of Marina Bay, as well as a formidable culinary experience across its various award-winning dining concepts. 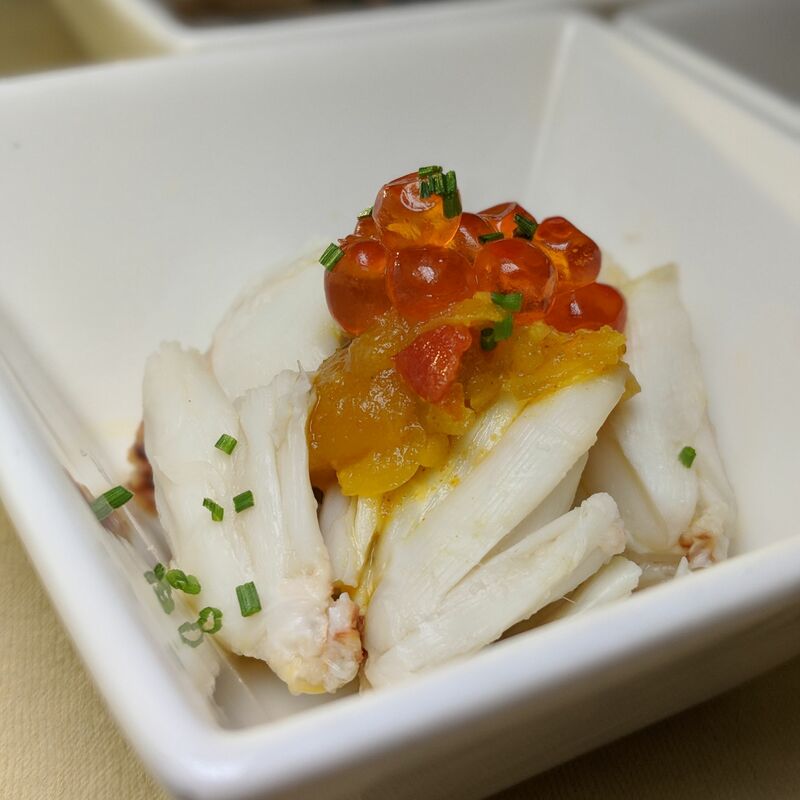 The UTW (“Under Ten Words”): Unforgettable club lounge experience and unparalleled service standards. 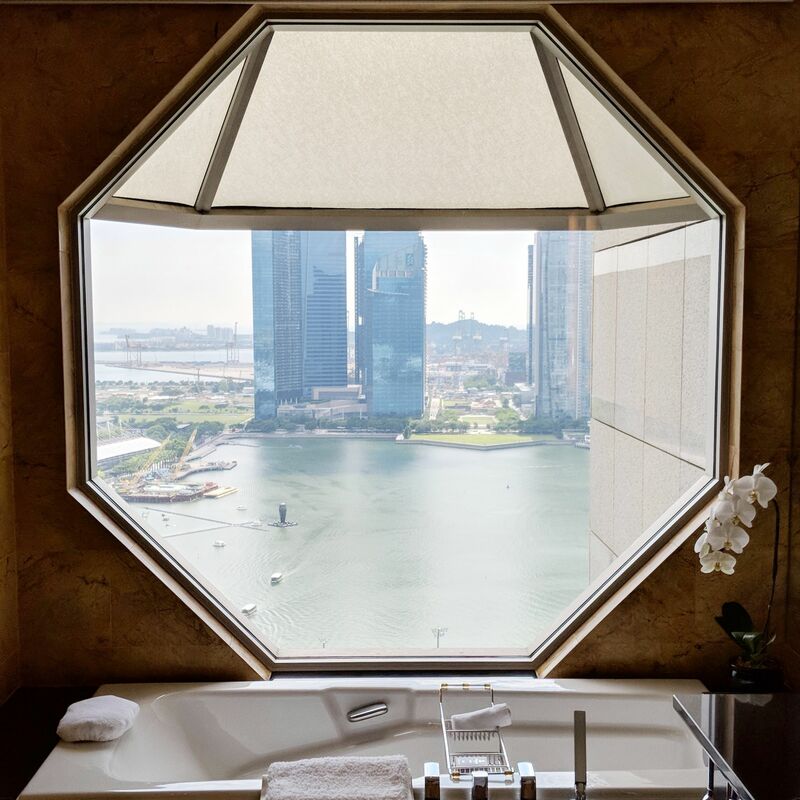 The must-dos (if any): Take photos in your room and of the view, enjoy the Ritz-Carlton Club experience. The hotel plays it all impressive extravagance with its various design features, from the mother-of-pearl skylights and lavish Hirsch Bedner-designed lobby to the pieces of contemporary art which grace the hotel’s various hallways and rooms, including works by Andy Warhol and Dale Chihuly. 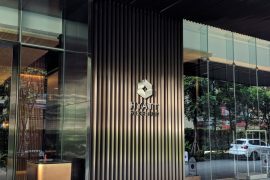 There is a distinctive Japanese presence throughout the premises – besides the significant Japanese clientele you would no doubt see and hear, there is a dedicated Japanese Guest Relations desk on the lobby floor as well as Japanese signages throughout the premises, such as in the elevators – which makes you feel like you’re not quite in Singapore anymore. 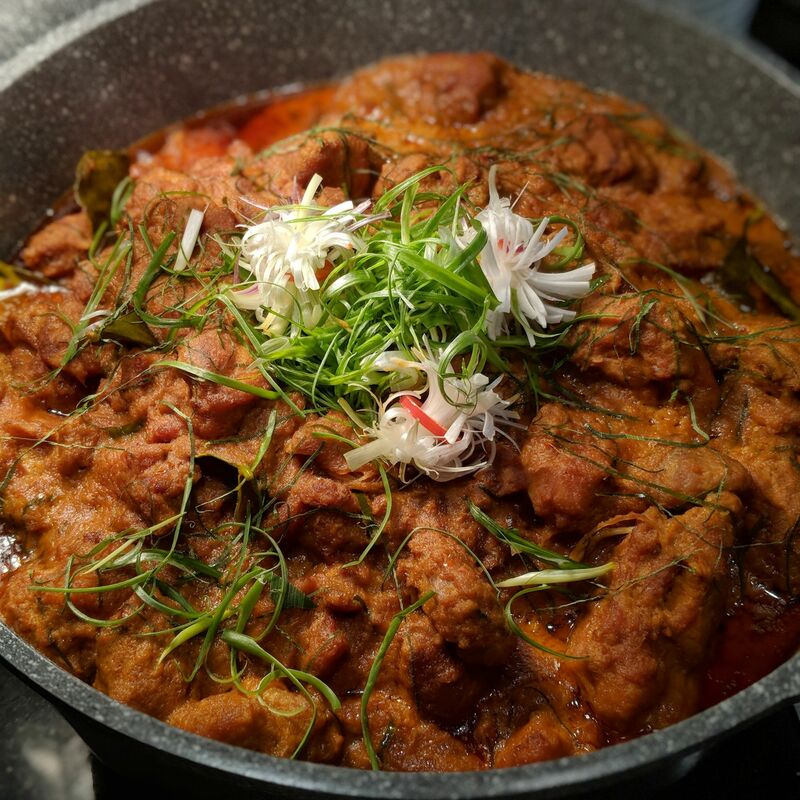 On the dining side of things, the hotel serves breakfast at Colony, the hotel’s all-day restaurant which showcases heritage cuisine through its seven different kitchens. 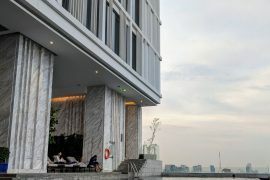 Located on the 3rd floor along with the hotel’s other dining concepts, the British seafaring-inspired space is blessed with generous streams of natural light, and boasts the reputation of being one of the hardest hotel restaurants in Singapore to score a table – in particular, for its famous Sunday champagne brunch – without bookings made well in advance. Chihuly Lounge, the hotel’s lobby lounge and bar, is equally blessed with caresses of sunshine. 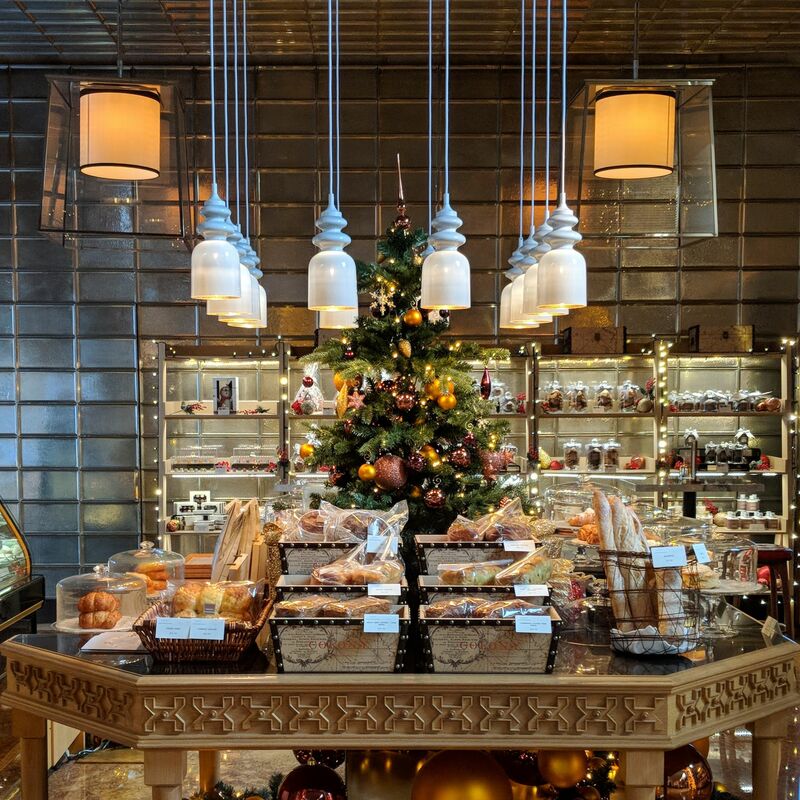 Aside from its signature Afternoon Tea experience, the lounge boasts a strong mixology concept as well as live music in the evening. 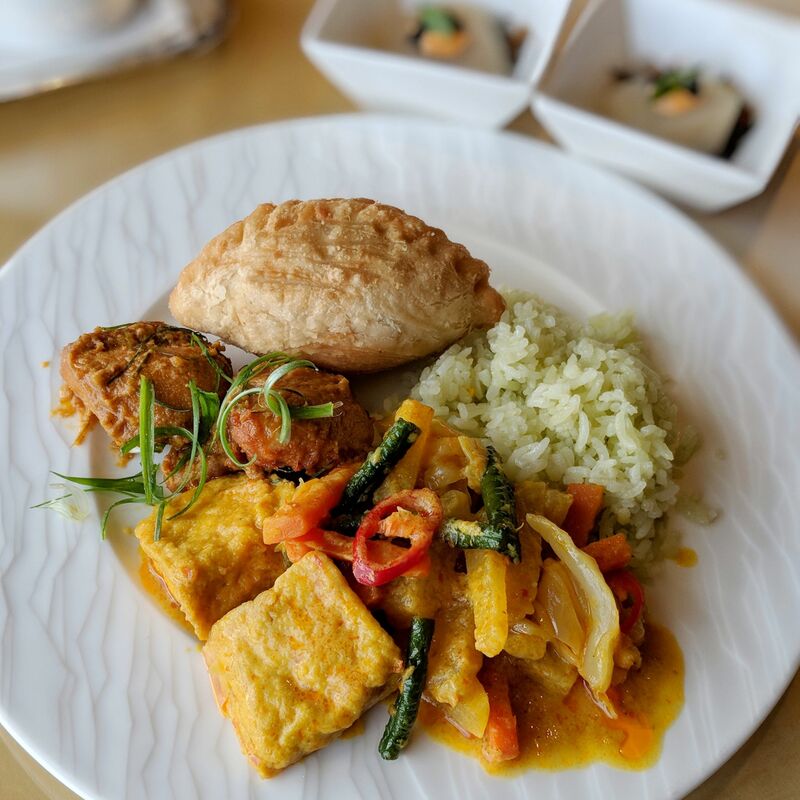 Elsewhere, the Michelin-starred Summer Pavilion serves modern Cantonese cuisine in a posh and sophisticated setting, using the kind of glassware and crockery that your grandma normally reserves for when Lee Hsien Loong or the Queen of England drops by. 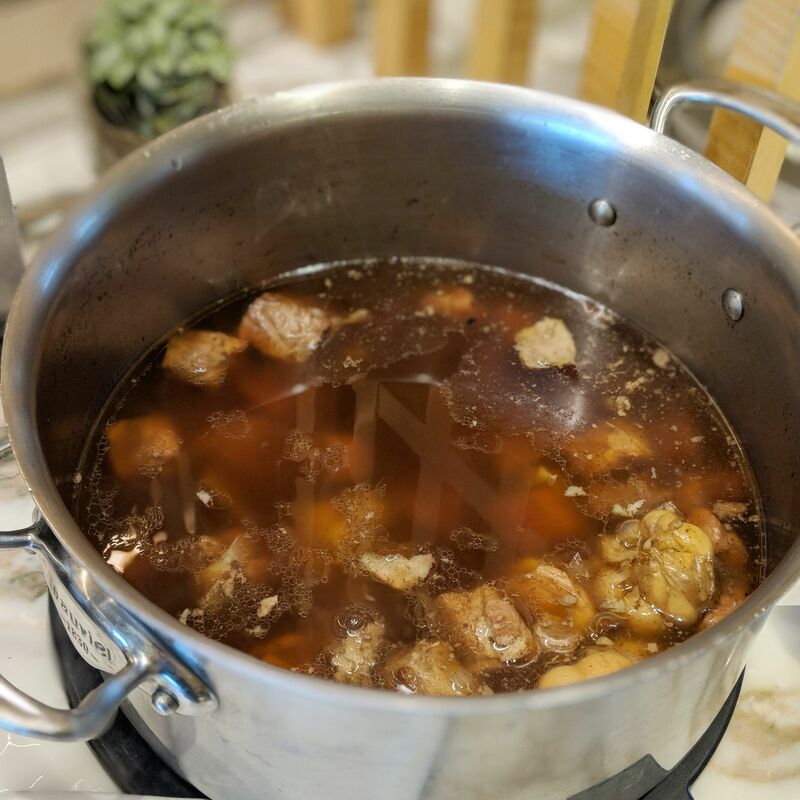 The marine-themed Ritz-Carlton Spa is the first hotel partner of luxury skincare brand La Mer in the Asia-Pacific, and its signature treatment is the La Mer Miracle Broth™ facial which was developed exclusively for the spa. 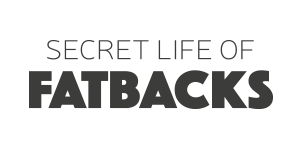 Disappointingly, only spa guests with appointments are allowed to use the various spa facilities such as the jacuzzi and steam room, while hotel guests have to pay a fee. 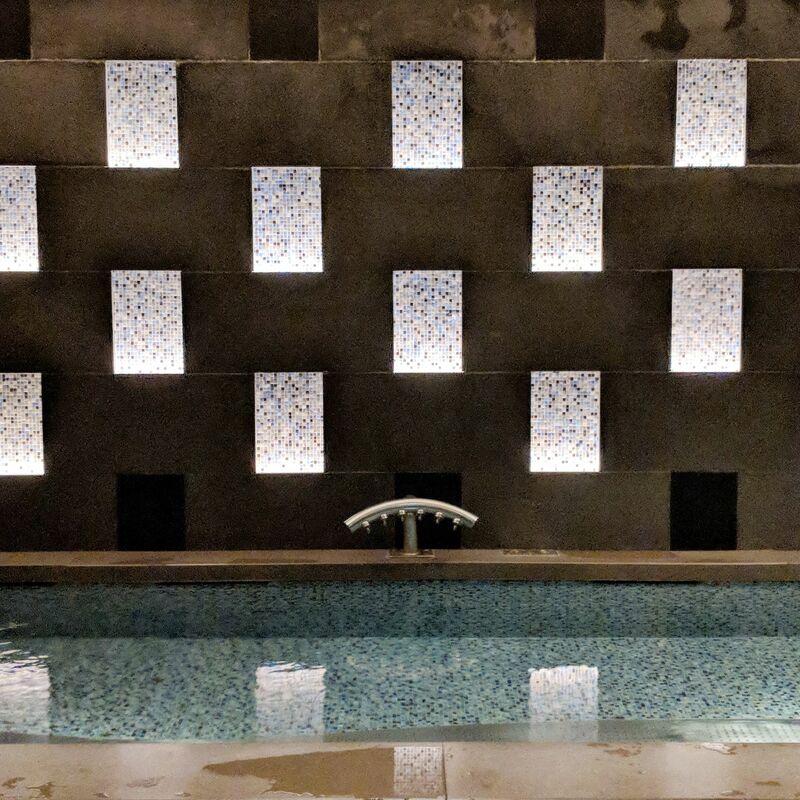 I reminisce wistfully about the wonderful and luxurious Wet Lounge experience at The St. Regis Singapore, which is available for all hotel guests. The hotel facilities which are available to hotel guests would include the 24-hr fitness centre, which has state-of-the-art equipment facilitating different training programmes such as High Intensity Interval Training (HIIT) and TRX Suspension Training, as well as the 25m lap pool which features a three-tiered timber pool deck, sun beds, private cabanas and a pool bar. All the core hotel facilities are located on the ground floor. Chihuly Lounge (The Ritz-Carlton, Millenia Singapore). Colony (The Ritz-Carlton, Millenia Singapore). 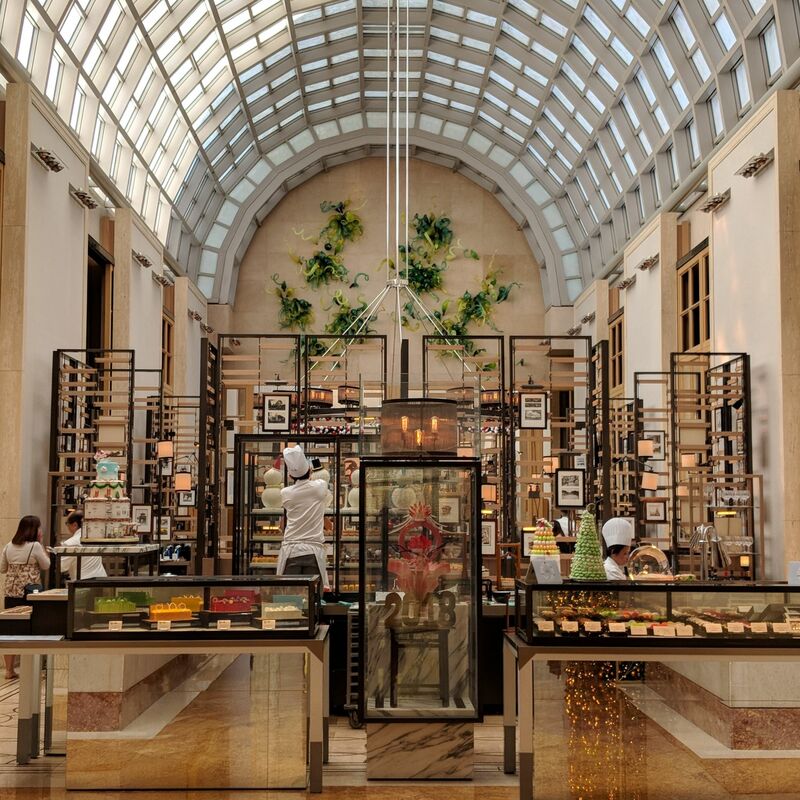 Colony Bakery (The Ritz-Carlton, Millenia Singapore). Summer Pavilion (The Ritz-Carlton, Millenia Singapore). 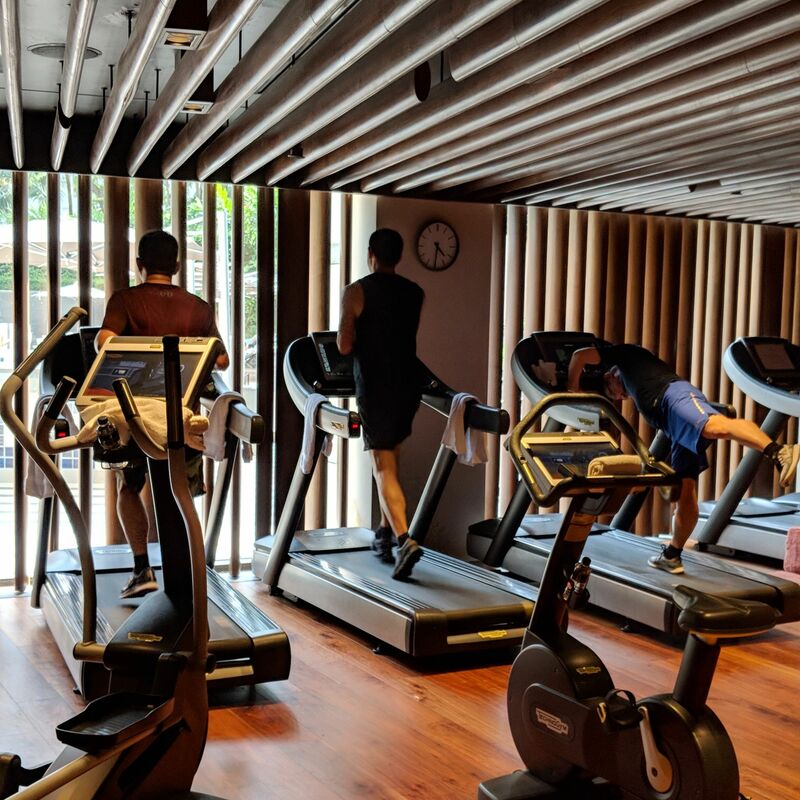 Gym (The Ritz-Carlton, Millenia Singapore). 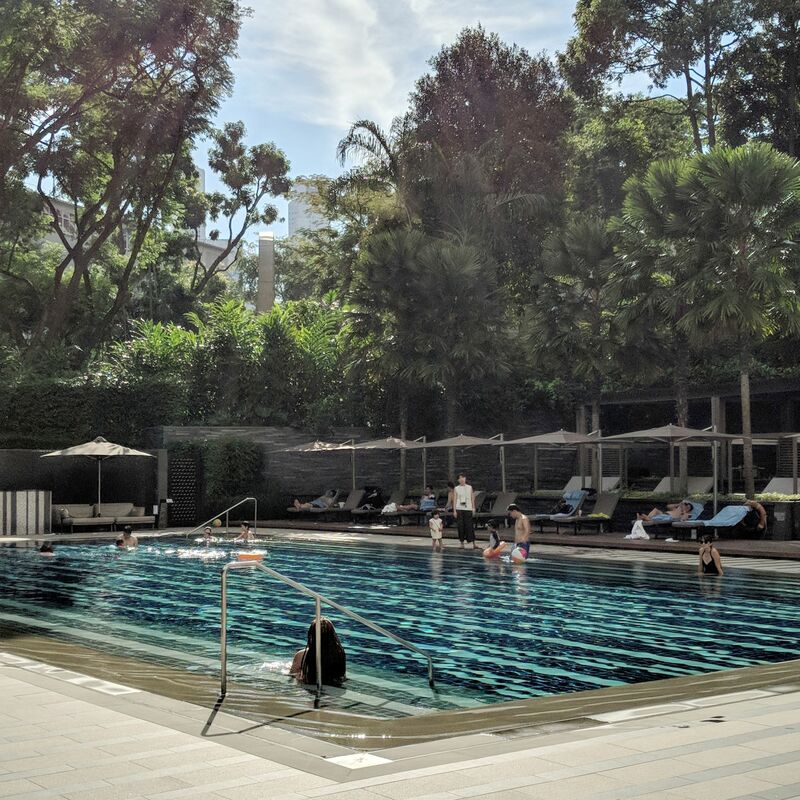 Pool (The Ritz-Carlton, Millenia Singapore). Jacuzzi, The Ritz-Carlton Spa (The Ritz-Carlton, Millenia Singapore). 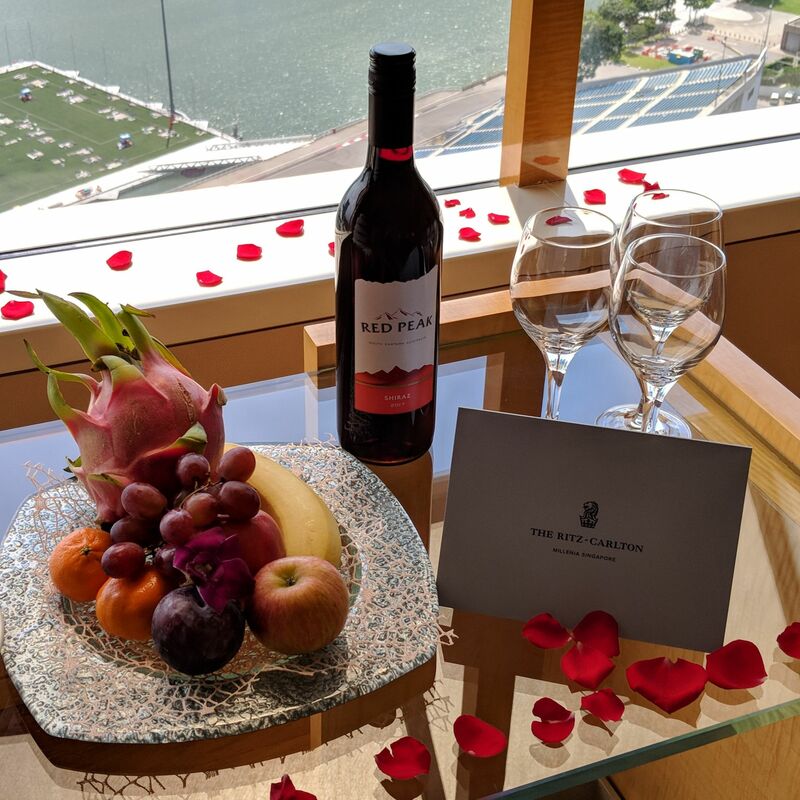 While we had originally booked the 51sqm Club Deluxe Marina room for a birthday celebration with close friends, we were generously upgraded to the 102sqm One-Bedroom Millenia Suite upon arrival, which made for a marvellous birthday surprise indeed. The gargantuan suite plays it all high-gloss wood-finish panels, which simultaneously dates and yet adds a touch of sophisticated, home-style warmth to the proceedings. 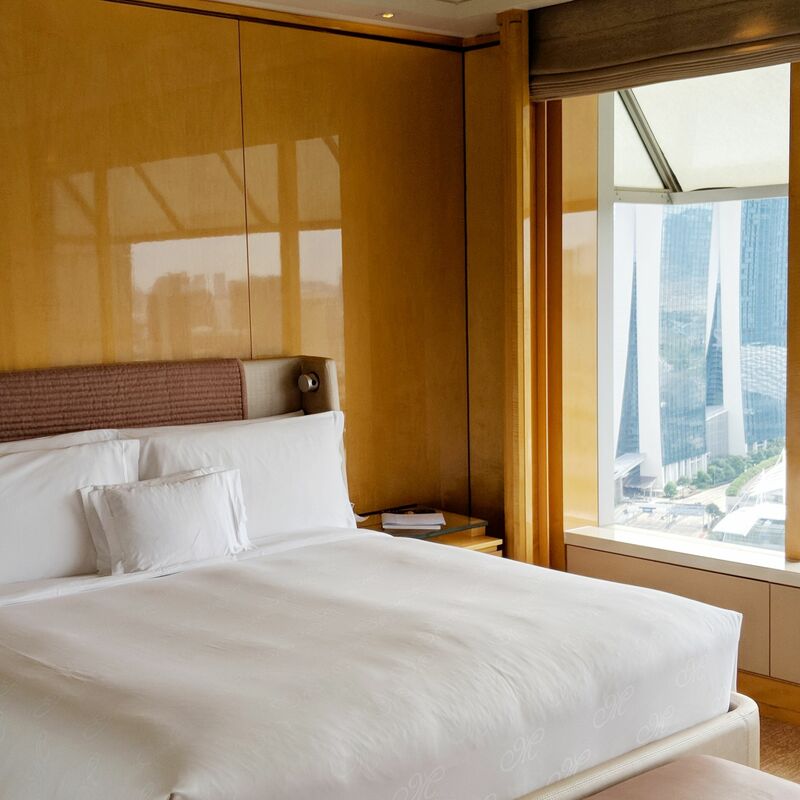 Floor-to-ceiling windows extending from the living room to the bedroom offer a breathtaking and unparalleled panoramic view of the bay area, providing endless possibilities for Marina Bay Sands backdrop photos (it does feel like the closest hotel to the iconic three-point balance banana structure). This suite is probably the sunniest hotel room I have had the good fortune to experience. 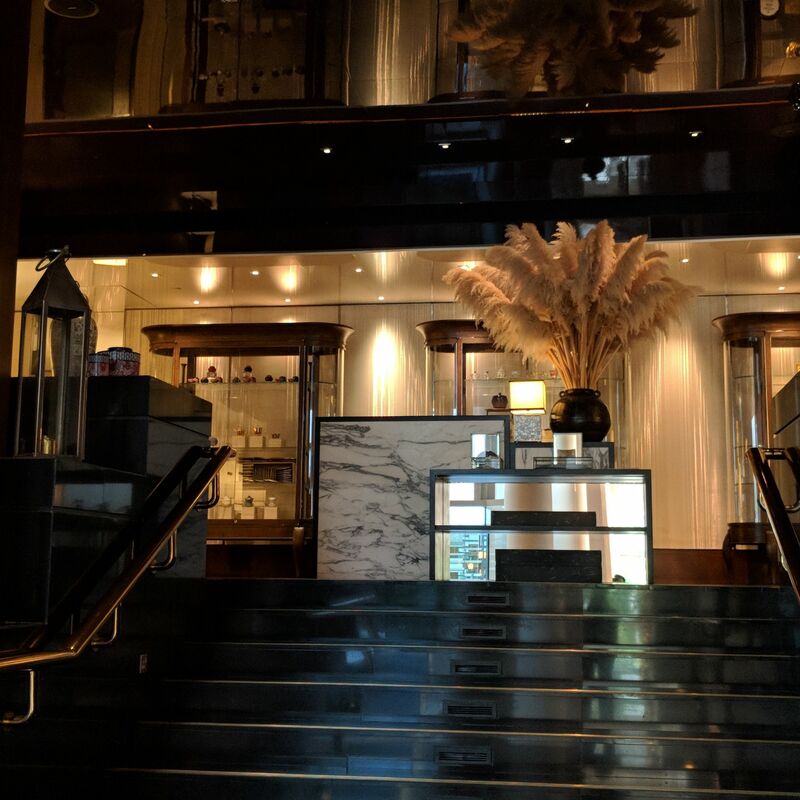 The study is made to feel like an event in itself, comprising shelves of pottery and sculptures as well as one of the hotel’s iconic octagonal windows, with a work desk big enough for a boardroom meeting. 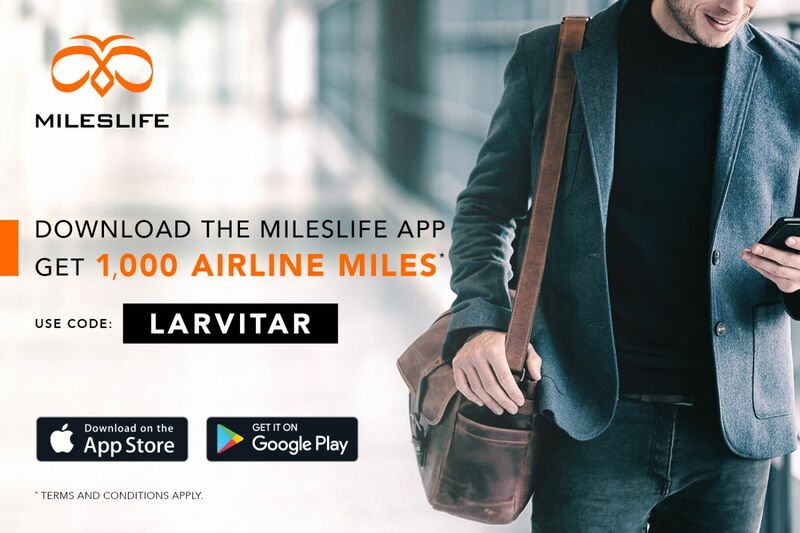 Elsewhere, the spacious living room (which comes with a mini-bar with Nespresso coffee machine, wall-mounted 55-inch LED TV as well as DVD player for nostalgia moments) has enough free space to accommodate an entire kindergarten class. The bedroom comes with a plush feather king bed and a walk-in wardrobe. 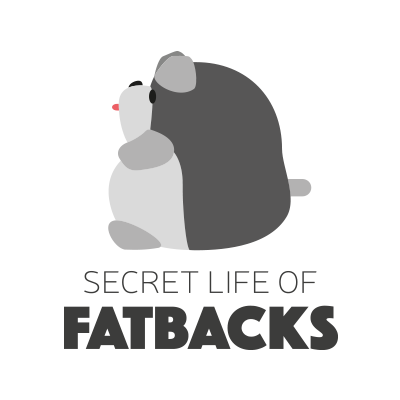 The bathtub comes with a bowl of bath salt which seems to assist in the generation of bubbles as opposed to merely seasoning one’s skin. For the non-frivolous as well as those who do not enjoy soaking in their own filth, the rainfall shower is available for your bathing pleasure. 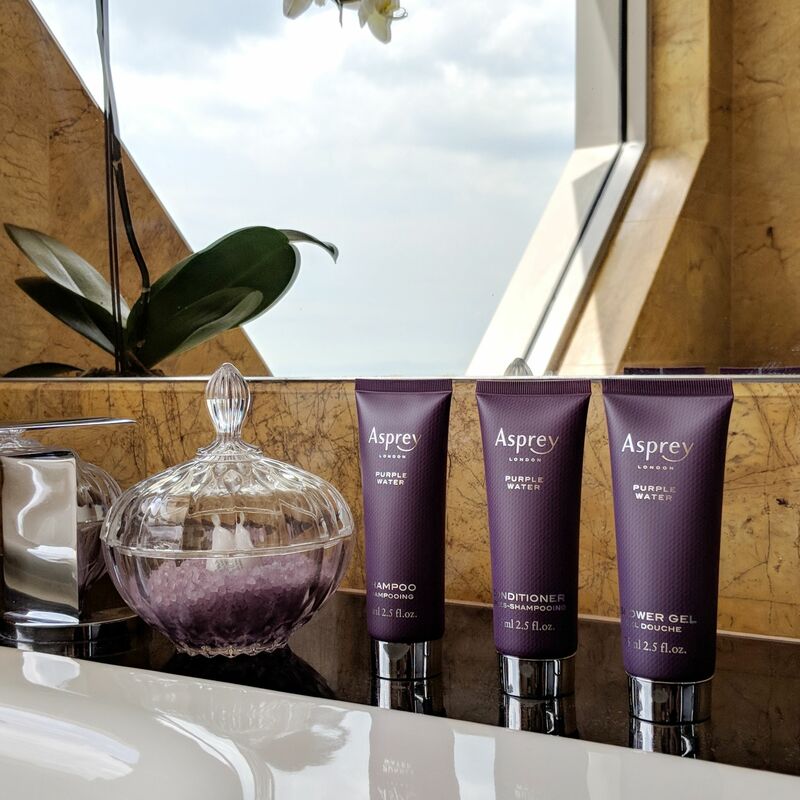 The bathroom features double vanities which share a common plugged-in hairdryer, and bathroom amenities are from British luxury brand Asprey. A separate powder room is available next to the entrance of the suite. I would like to take a moment to compliment the team for their birthday set-ups. 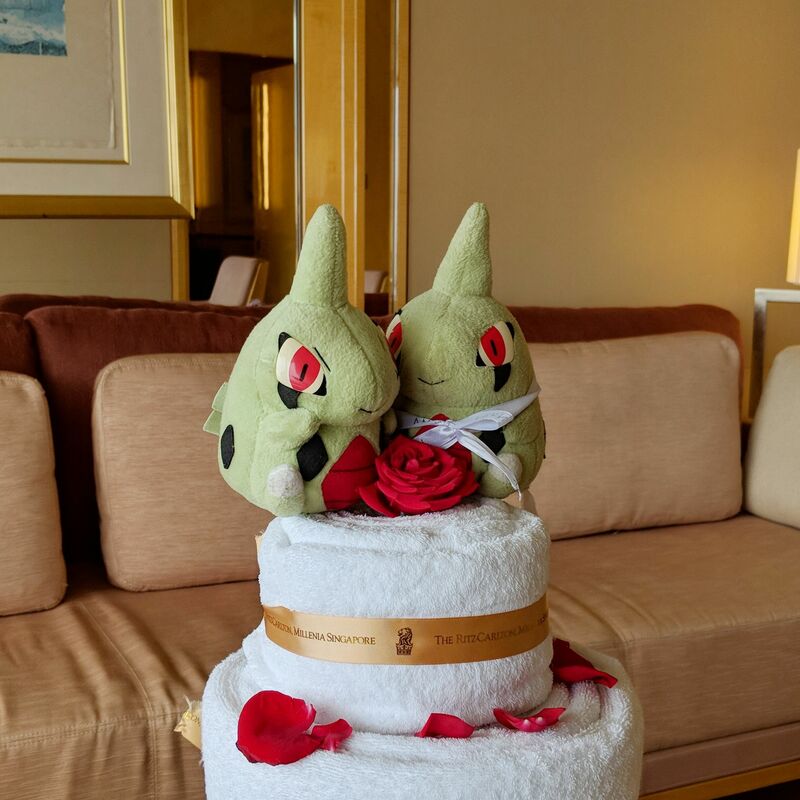 Aside from the generous room upgrade, I was greeted by a tiered towel cake as well as a bottle of wine upon arrival, and was later served a birthday cake in the evening. 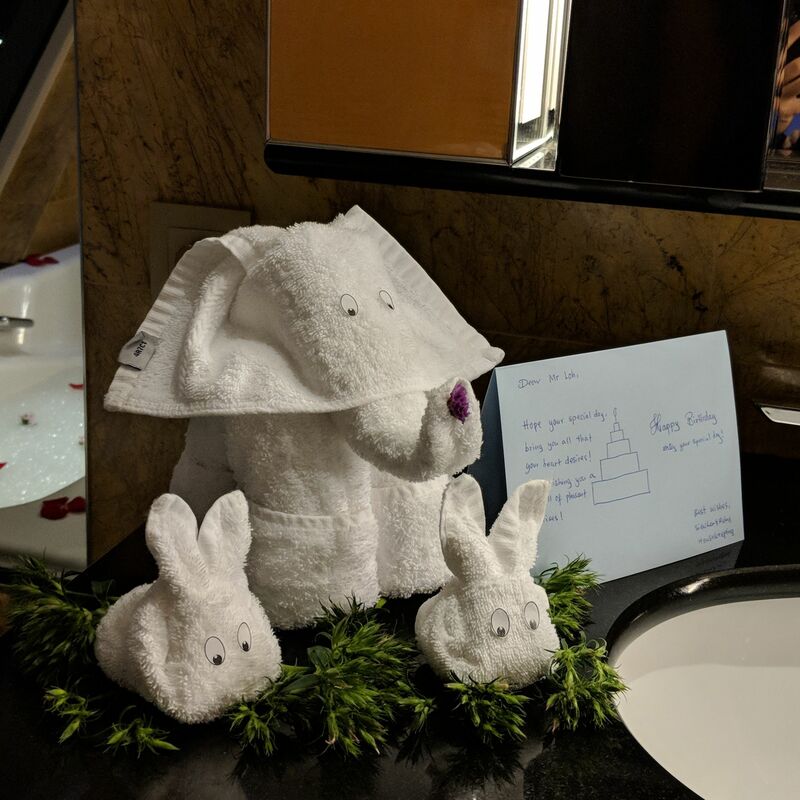 Whilst we were guzzling like degenerates in the Ritz-Carlton Club, the team thoughtfully prepared a bubble bath with flower petals as well as towel animals to greet me upon my return. I named them Heffalump, Johnny and Bagel, and was sad to bid them adieu when I checked out. 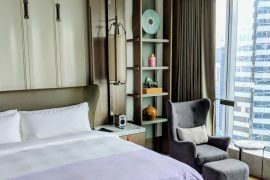 Bedroom, One-Bedroom Millenia Suite (The Ritz-Carlton, Millenia Singapore). 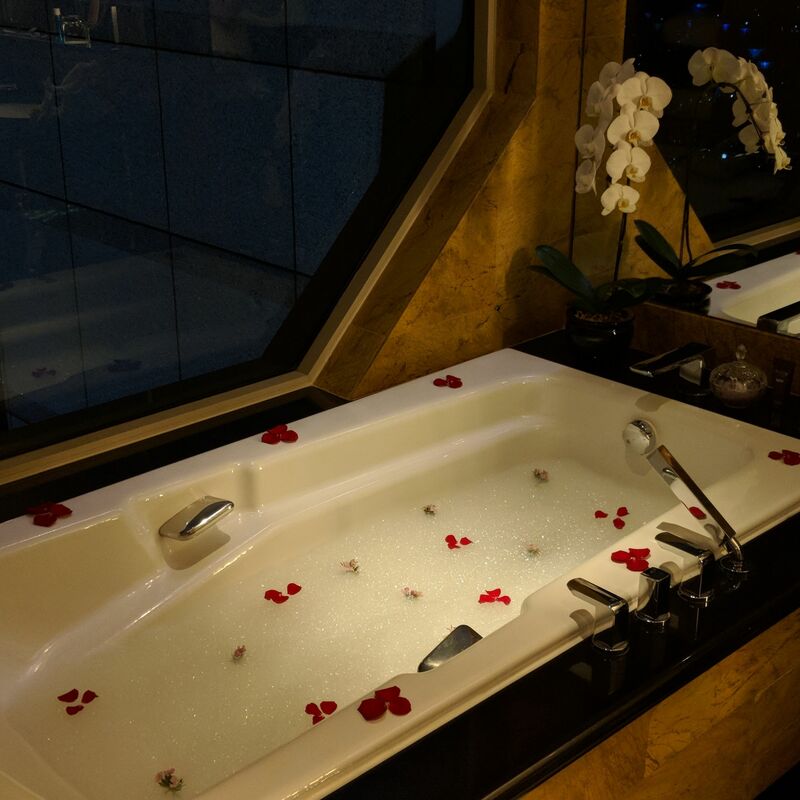 Bathtub, One-Bedroom Millenia Suite (The Ritz-Carlton, Millenia Singapore). 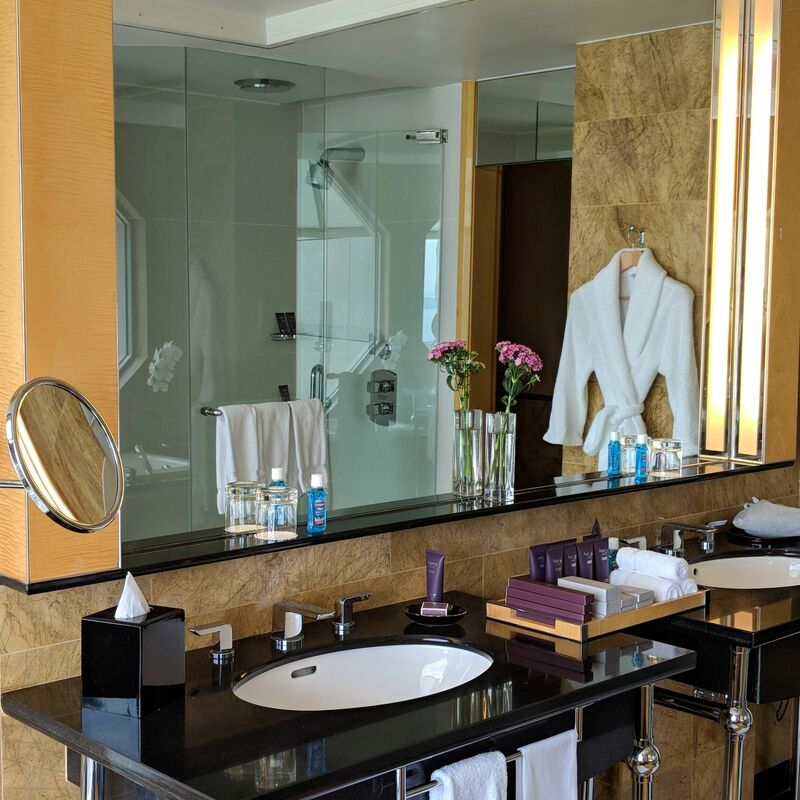 Bathroom Amenities, One-Bedroom Millenia Suite (The Ritz-Carlton, Millenia Singapore). 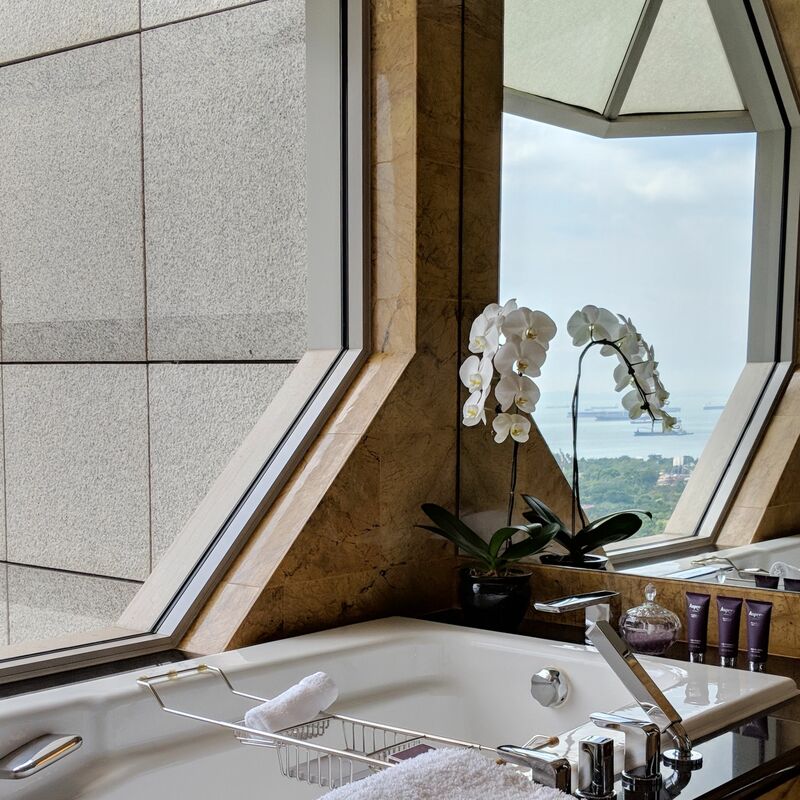 Bathroom, One-Bedroom Millenia Suite (The Ritz-Carlton, Millenia Singapore). 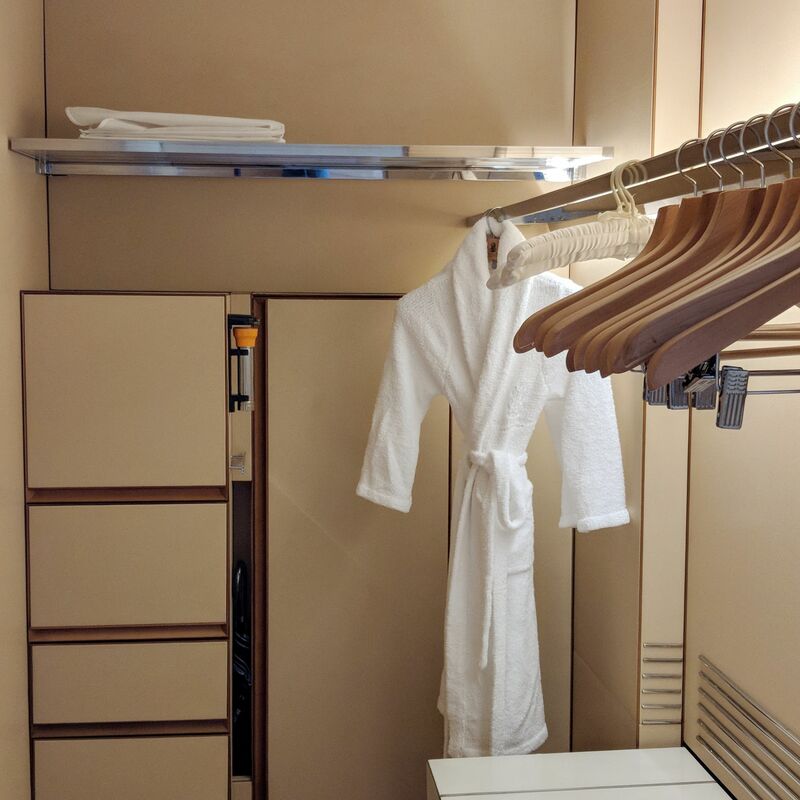 Walk-in Wardrobe, One-Bedroom Millenia Suite (The Ritz-Carlton, Millenia Singapore). 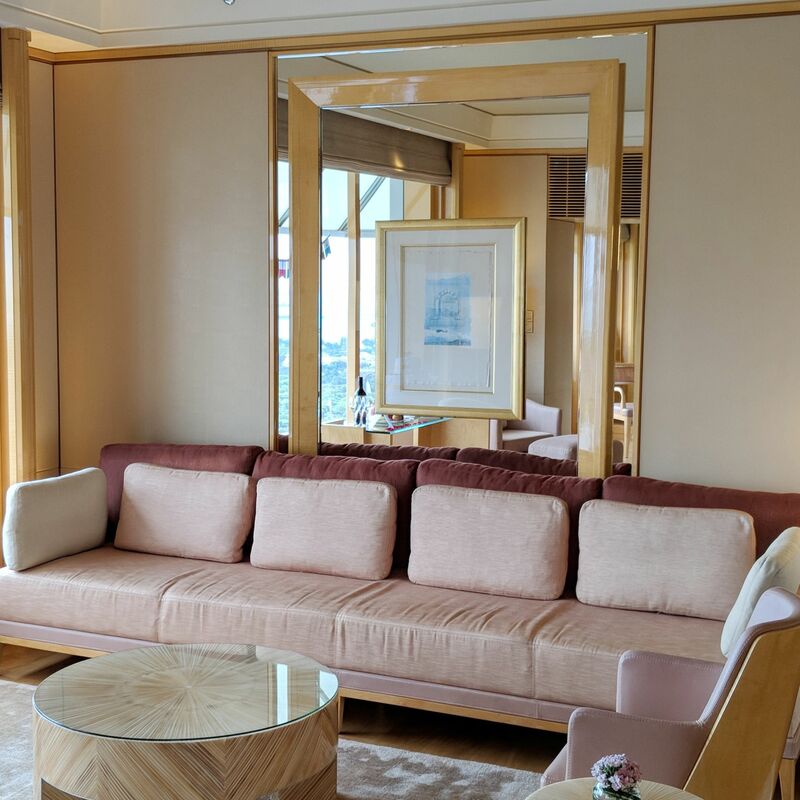 Living Area, One-Bedroom Millenia Suite (The Ritz-Carlton, Millenia Singapore). 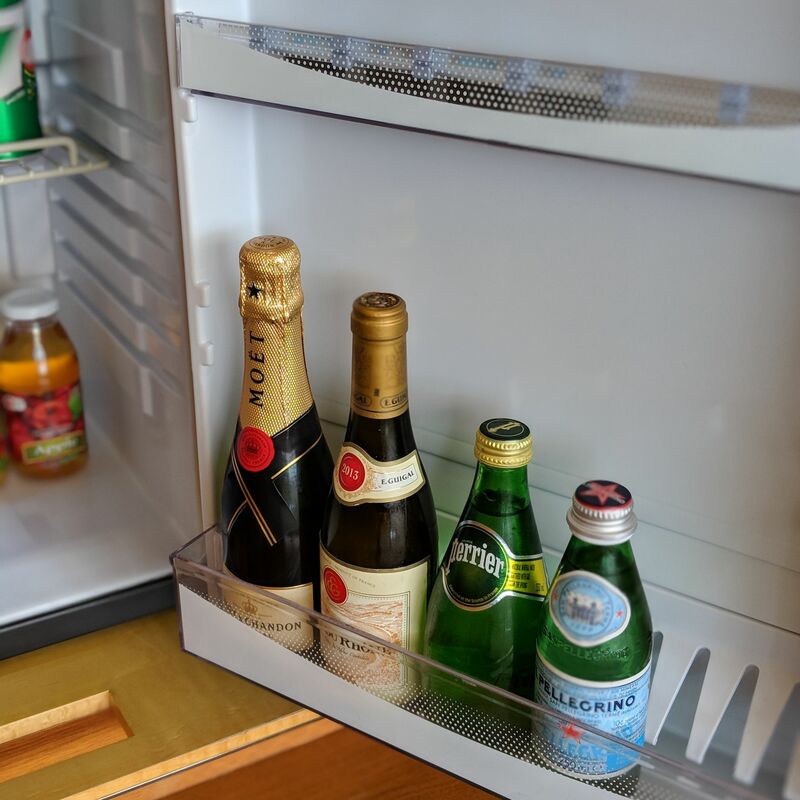 Mini Bar, One-Bedroom Millenia Suite (The Ritz-Carlton, Millenia Singapore). 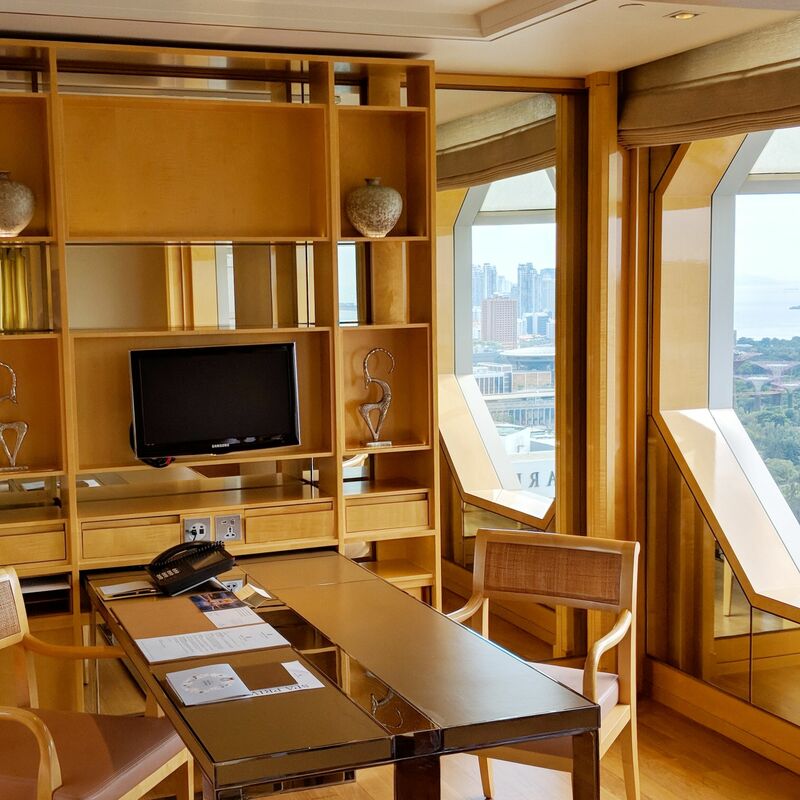 Study, One-Bedroom Millenia Suite (The Ritz-Carlton, Millenia Singapore). 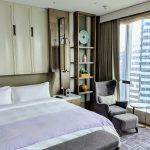 Birthday Set-up, One-Bedroom Millenia Suite (The Ritz-Carlton, Millenia Singapore). 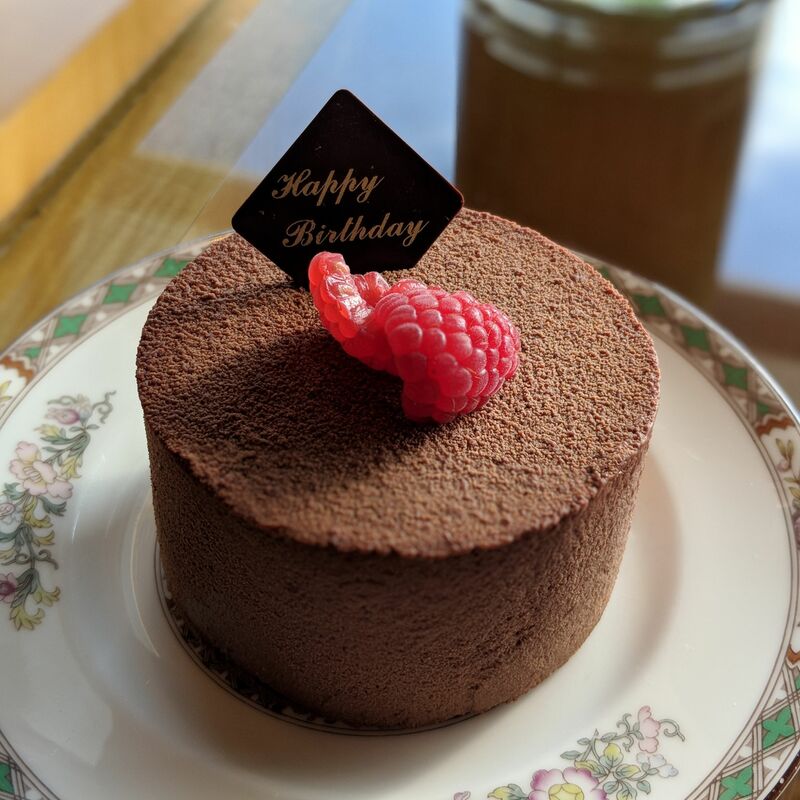 Birthday Cake, One-Bedroom Millenia Suite (The Ritz-Carlton, Millenia Singapore). 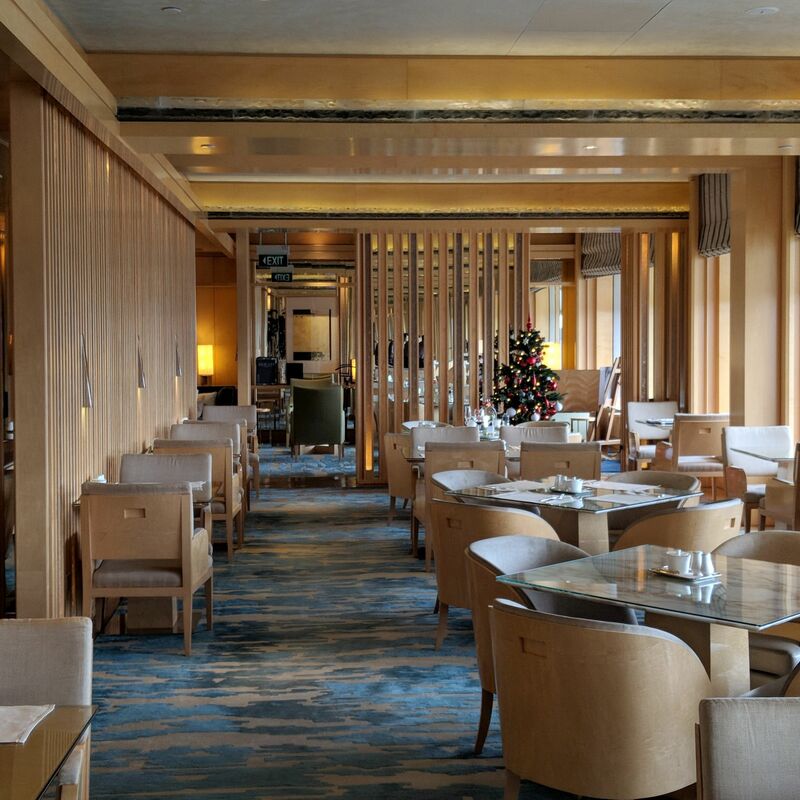 Located on level 32 and providing an impressive view of the bay area and Singapore skyline from the hotel’s highest floor, The Ritz-Carlton Club offers five culinary presentations per day: breakfast, brunch/midday snack, afternoon tea, hors d’oeuvres and cocktails, as well as chocolate pralines and cordials. A selection of wines and the hotel’s very own Champagne Barons de Rothschild Ritz Reserve is available for guests to enjoy across all culinary presentations. 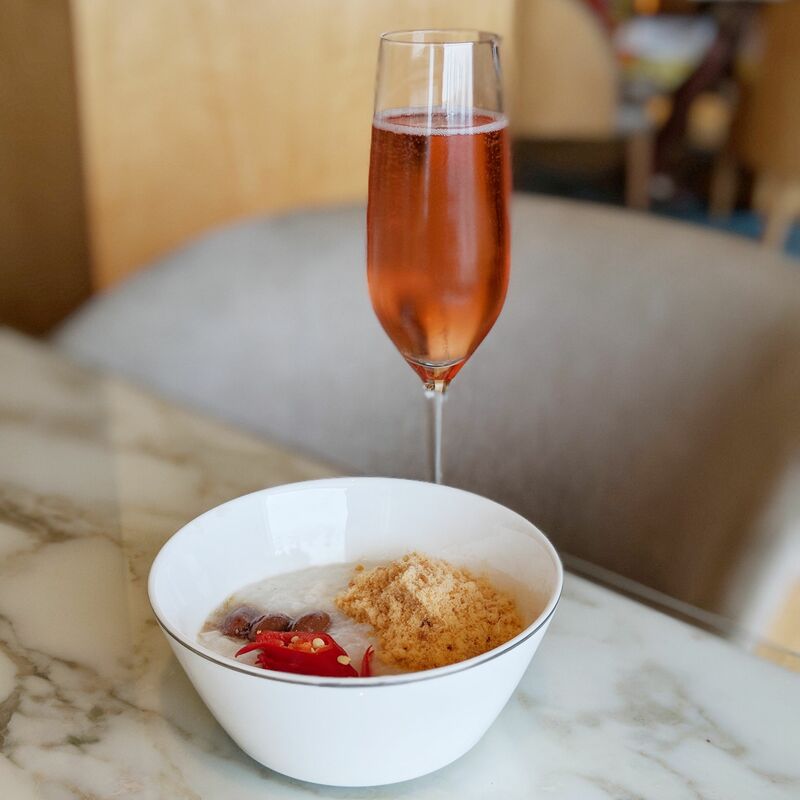 In that regard, the Ritz-Carlton Club is one of the few club lounges in Singapore which offers champagne breakfast apart from The Fullerton Hotel Singapore and Pan Pacific Singapore. 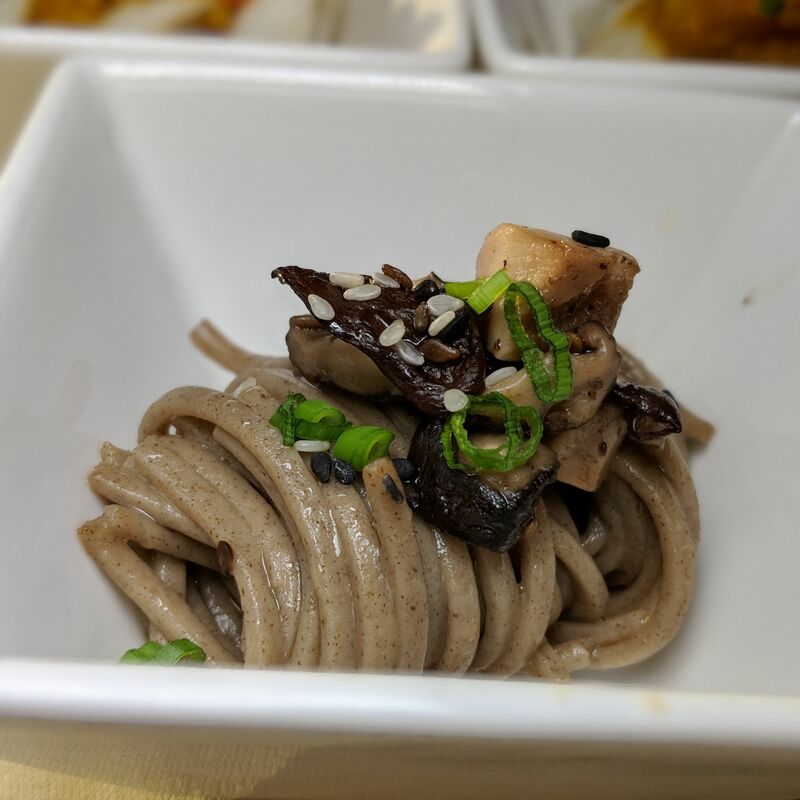 The food served at The Ritz-Carlton Club was really, really good, essentially rendering it unnecessary for club guests to leave the property for meals during their stay. Local and regional flavours featured prominently across the various culinary presentations to impressive effect – bak kut teh (pork bone tea), congee, Korean glass noodles, Japanese sushi handrolls and jumbo siew mai (dumplings) made appearances during the day-time sessions, while the hors d’oeuvres and cocktails presentations served up a formidable cast of stars such as tandoori chicken, chicken rendang (chicken stew with spices and coconut milk), ngoh hiang (meat wrapped in beancurd skin), yam pastry with char siew chicken filling, Sin Chow fried beehoon, sayur lodeh (Malay curried vegetables), soba with sesame dressing as well as crab meat with ikura. 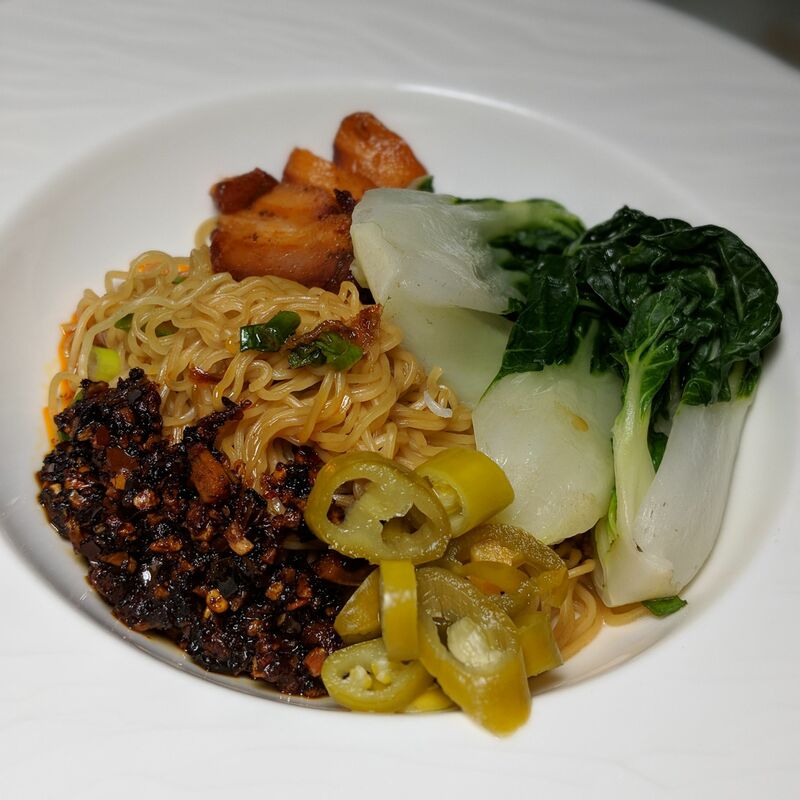 The live station menu rotates daily, with the wanton noodles from the Chinese menu on my first evening at the lounge leaving the strongest impression, in no small part due to the sheer amazingness of the accompanying Hong Kong-style chilli oil which could probably win Crystal Jade in a hair-tugging catfight. I must say that the 3hr-long hors d’oeuvres and cocktails presentation is a strong contender for my favourite club lounge experience this year. Possibly ever, at this point. The service standards at The Ritz-Carlton Club were truly remarkable. Upon observing that we enjoyed the privacy of being seated in a semi-private room during our first culinary presentation visit, one of the club managers reserved the very same table for us throughout our stay, and even held the table for us when we briefly headed down to the hotel lobby to witness the Christmas tree lights being turned on. 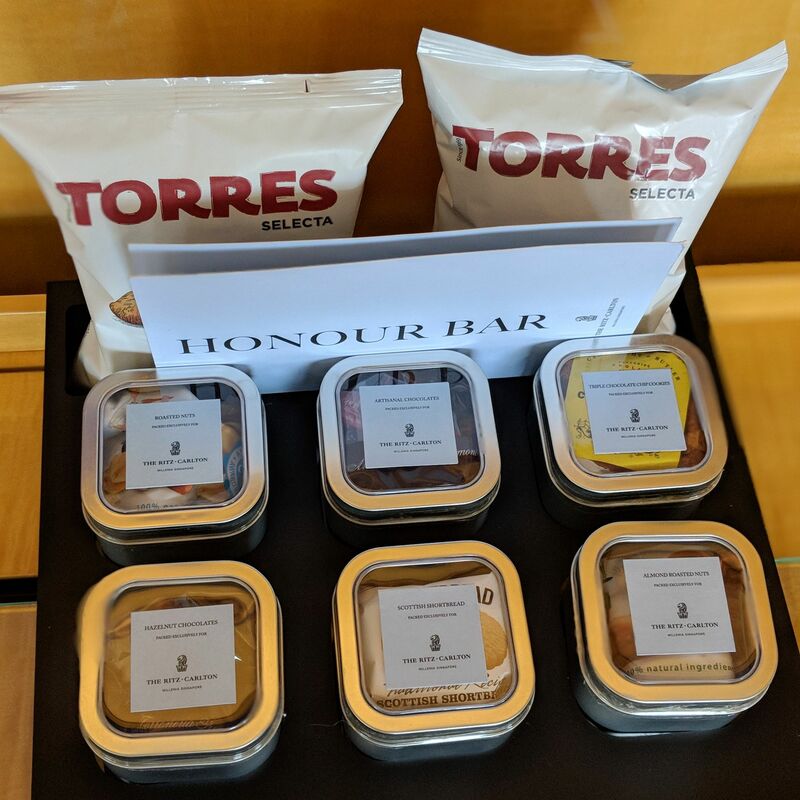 I was also invited to stay further at the lounge for further culinary presentations even after I had formally checked out. 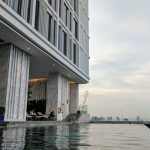 At some point, I overheard a staff member helpfully advise Japanese tourists on the use of the hotel’s complimentary limousine drop-off service, as well as how to make their way to and from Gardens by the Bay. 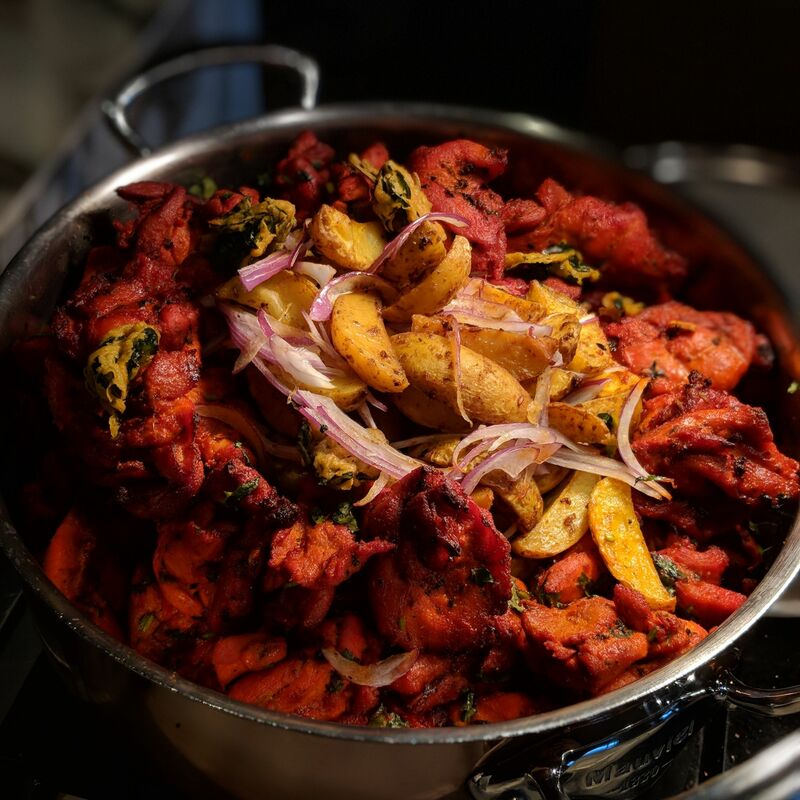 At every point of our time spent in the lounge, we were always well attended to and made to feel special, which went a long way in justifying the relatively hefty price tag involved in booking a room with club access. 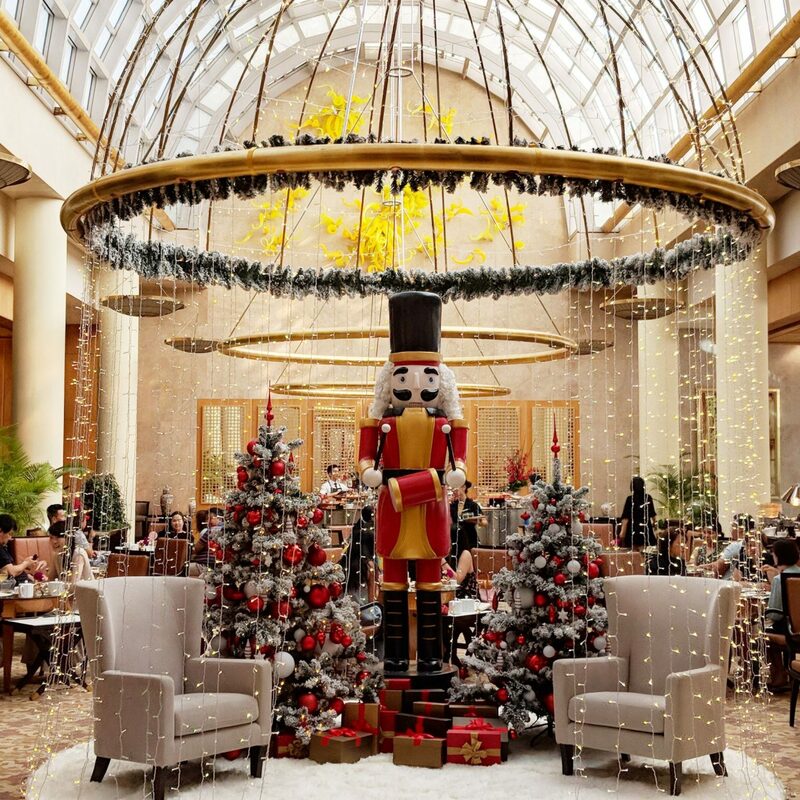 The Ritz-Carlton Club (The Ritz-Carlton, Millenia Singapore). Live Station, The Ritz-Carlton Club (The Ritz-Carlton, Millenia Singapore). 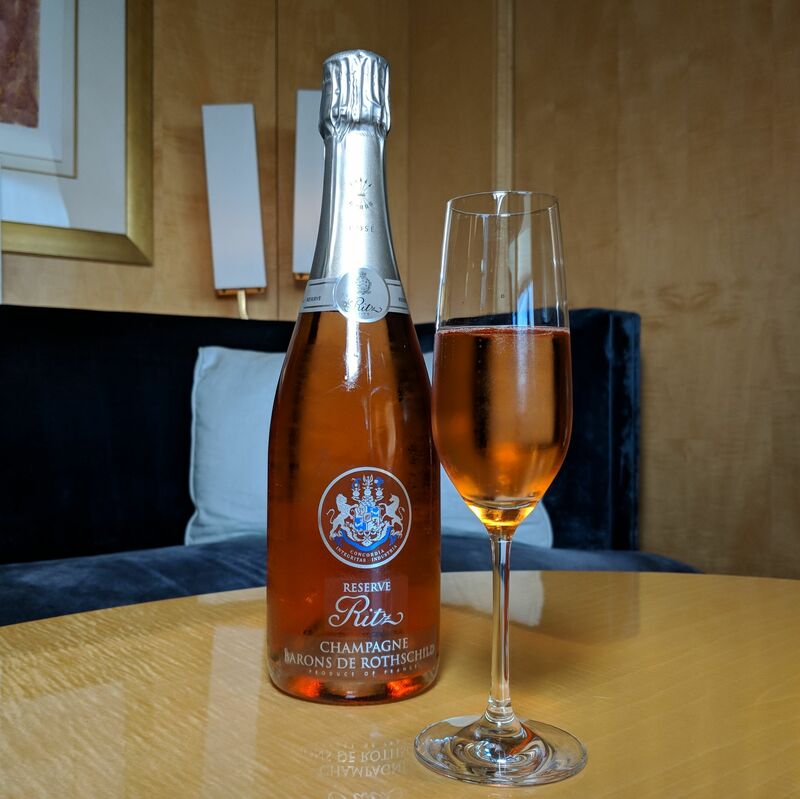 Champagne Barons de Rothschild Ritz Reserve, The Ritz-Carlton Club (The Ritz-Carlton, Millenia Singapore). Breakfast, The Ritz-Carlton Club (The Ritz-Carlton, Millenia Singapore). 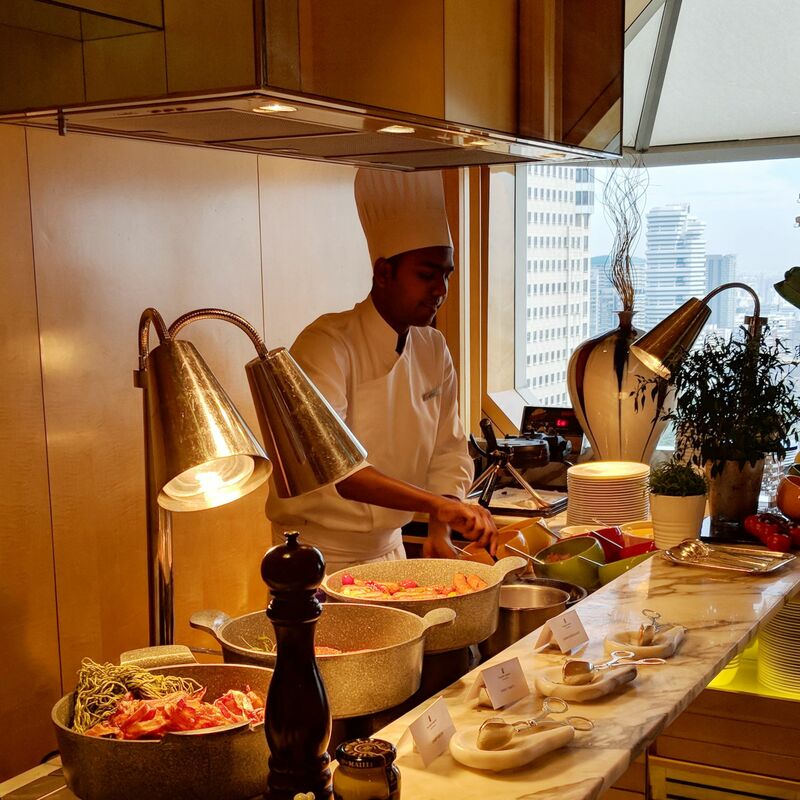 Brunch, The Ritz-Carlton Club (The Ritz-Carlton, Millenia Singapore). Hors d’oeuvres and Cocktails, The Ritz-Carlton Club (The Ritz-Carlton, Millenia Singapore). 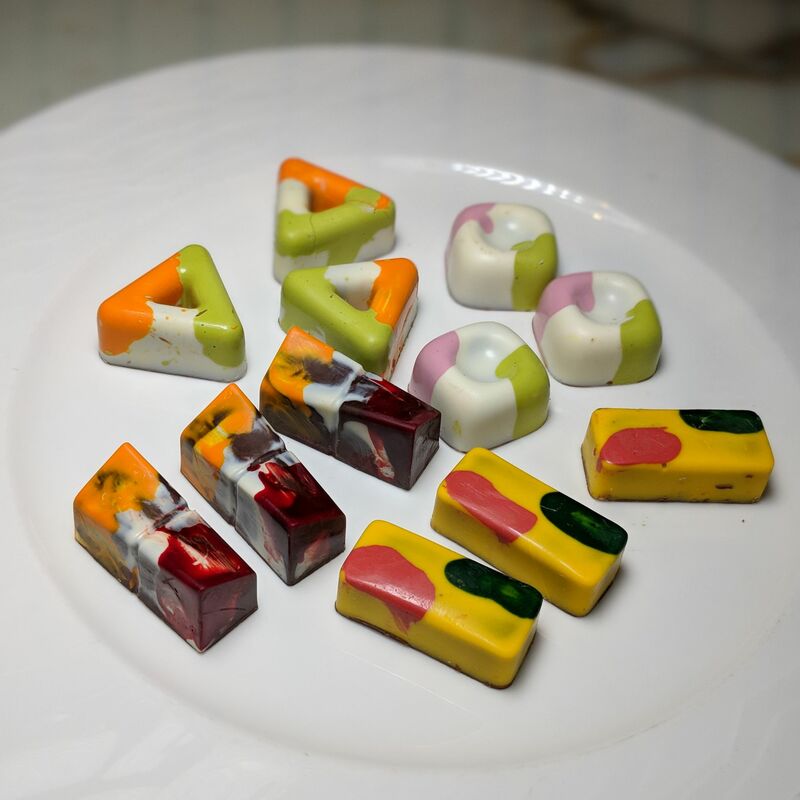 Chocolates Pralines and Cordials, The Ritz-Carlton Club (The Ritz-Carlton, Millenia Singapore). The Ritz-Carlton, Millenia Singapore has a reputation of being one of the best hotels in Singapore, and my birthday stay has left little doubt in my mind that this reputation is justified and well-earned. 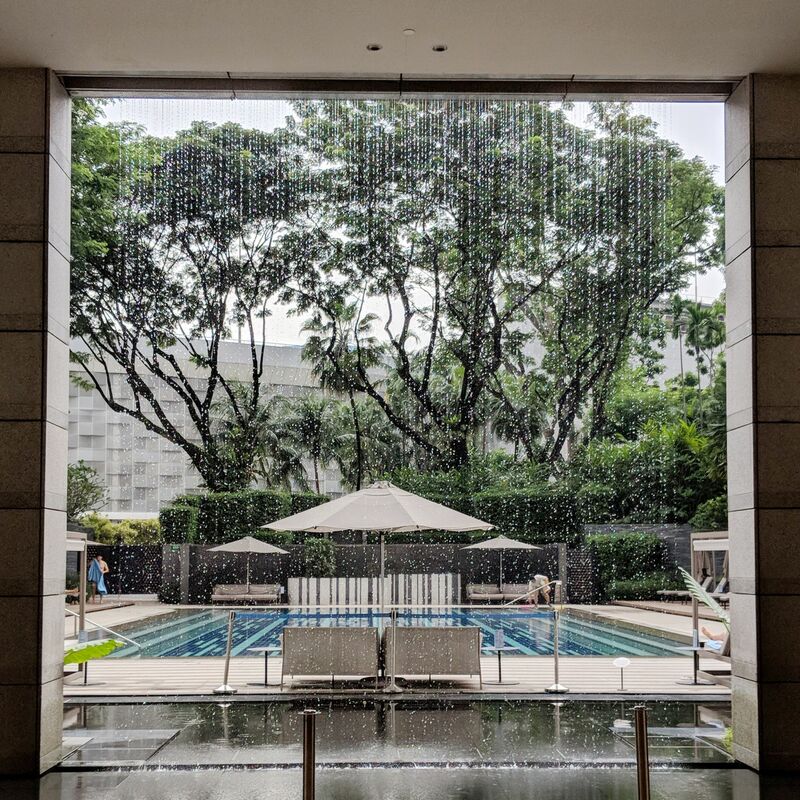 While I rarely think of re-visiting luxury hotels with hefty price tags after my initial review, I was already contemplating when I could return to The Ritz-Carlton, Millenia Singapore as soon as my taxi left the hotel driveway.